A newspaper account of the scene. Lepke Buchalter, left, and Abner 'Longy' Zwillman. Zwillman ordered the hit on Silvers because he failed to obey syndicate orders not to help Miller. The syndicate avoided Miller because of the heat he was drawing from the FBI over his involvement in the massacre. By early fall, not only had the FBI still not found the shooters, it wasn’t even sure who had actually planned it. Finally, in late October, the FBI found Miller’s girlfriend, Vi Mathais, living in Chicago. Knowing it was just a matter of time before Miller would visit her, they staked out her apartment building. Capturing him would be a key step in solving the massacre. Unfortunately, there were no current pictures of Miller and agents had to rely on a single agent and a secretary to point him out. He arrived as predicted, and once identification was made, agents in a building across the street were given the signal to spring the trap, but the agent in charge failed to also signal the agents standing outside. Miller realized what was happening and managed to escape in a hail of bullets. Mathias was arrested, however, but failed to give agents any information ... at least at first. 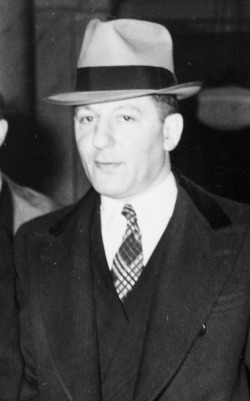 A short time later, the FBI again managed to track down Miller, this time to the home of Al Silvers, a member of organized crime figure "Longy" Zwillman’s gang in New Jersey, but before they could question Silvers, he was found dead, presumably because he had ignored Zwillman’s order not to help Miller, since it would attract police attention. In fact, an increasing number of FBI informants were saying the syndicate wanted Miller dead because he was a magnet for police attention. 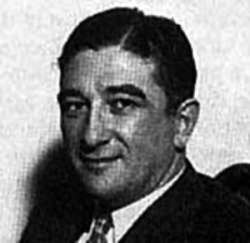 On Nov. 28, 1933, FBI agents interviewed Lepke Buchalter, head of the syndicate’s infamous Murder, Inc., but Buchalter refused to say whether he knew of Miller’s whereabouts, or if he would be killed if found. 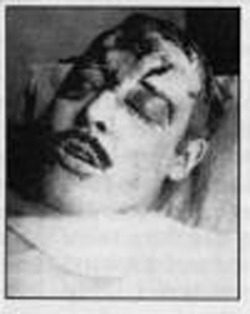 The following morning, however, Miller's body was found in a ditch outside Detroit. He had been killed in the same manner as Silvers — beaten and strangled. Miller’s death was a huge embarrassment to the FBI, and it meant that they had lost their primary lead. 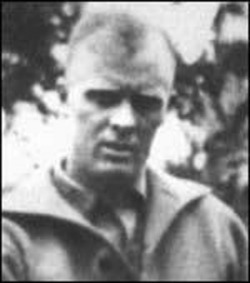 The Bureau, however, refused to give up and now turned its full attention back to Charles Arthur "Pretty Boy" Floyd, yet another suspect. 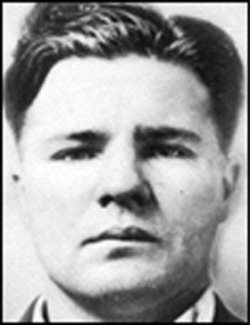 Floyd, and his longtime partner Adam Richetti, had been named as possible suspects early on simply because they were known to have arrived in Kansas City on June 16, 1933, the night before the shooting. To further support its claim, was a beer bottle found in Miller’s house with a single Richetti fingerprint on it. There was, however, no way to prove when the fingerprint was left in the house. In fact, not a single FBI informant was able to provide evidence that confirmed the pair was involved in the massacre. There was one piece of questionable evidence, however, that would resurface and give the FBI the ammunition it needed to point a firm finger at Floyd and Richetti. In August, a Kansas City gangster and known junkie, Michael LaCapra, turned himself into police after he barely survived an assassination attempt. Seeking protection, he offered to tell the FBI the entire story of the massacre. LaCapra said Miller was in on the plan from the beginning, and had asked gangster Johnny Lazia (an associate of LaCapra who had recently been killed) for men to help free Nash. Lazia refused to provide men since he felt it would attract too much attention. However, Lazia did agree to introduce Miller to Floyd, who needed money. When Floyd was wounded in the shootout, said LaCapra, he was treated and hidden by Lazia’s men. Unfortunately, a secondhand tale from a junkie in fear of his life was not exactly cast-iron evidence. The FBI still needed more proof. That proof came on Oct. 10 when Miller’s girlfriend, Vi Mathais, who had spent time jail and was under relentless questioning by the FBI, finally gave in and confirmed LaCapra’s story. Hoover proudly announced his Bureau had solved the case, and that Miller, Floyd and Richetti had committed the massacre. Floyd and Richetti would be hunted by the FBI until finally cornered in Ohio in October, 1934. Floyd would be killed, and Richetti be would captured, tried and executed for his role in the massacre.